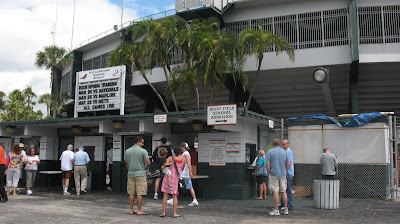 While visiting south Florida there's been a superfluity of sporting events in both Fort Lauderdale and nearby Miami. The NHL's Panthers played the Toronto Maple Leafs. One of the early rounds of March Madness, the NCAA basketball tournament, was hosted in Miami as was the world baseball series and so on. But we didn't go for those big ticket items. Oh no. 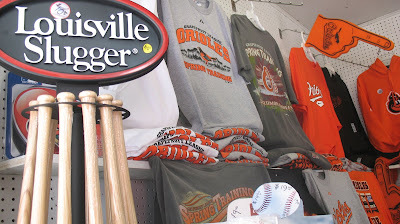 We decided to take in that great American pastime: Spring Training. 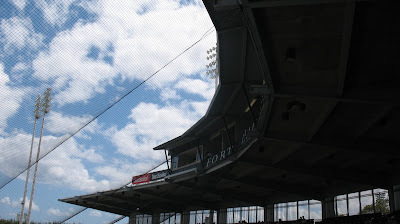 Fort Lauderdale Stadium was built in 1962 and up until about 1996 was spring training home to the New York Yankees. 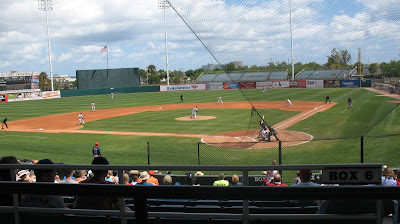 Since then, when the Yankees moved on to Legends Field in Tampa, the Baltimore Orioles have played there. 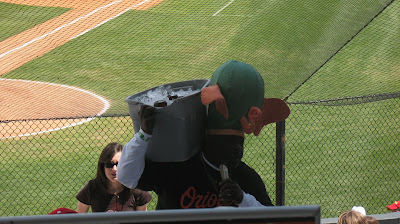 My buddy and I got tickets to the Orioles vs the Tampa Rays but unfortunately the game was rained out. Sure, fly 1500 miles from snow covered Canada in search of fun in the sun and encounter 17 straight hours of rain and flood alerts. We weren't off to a good start. Undaunted we traded our tickets in for a game with the Washington Nationals, which worked out well for a couple of Canucks. The Nats, you see, used to be the Montreal Expos. Here's the opening pitch. 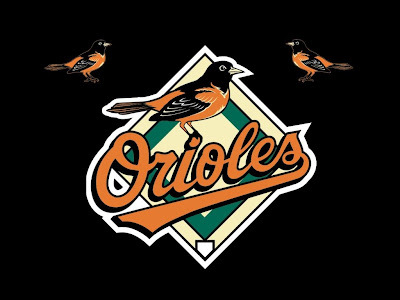 The Nationals beat the Orioles 3-1. 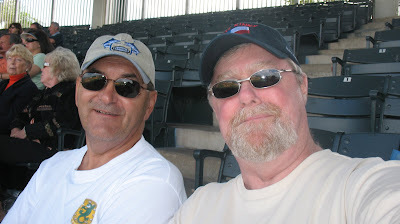 And here's a shot of the tourist guys, my snowbird buddy on the left and some other guy. And a good time was had by the tourist guys for a grand total of $14 each. Geez, that's about half as much as the t-shirt I bought! I am sports ignorant. I don't watch any sports. Did you have fun? Beer & baseball? Only in America. Well, in Toronto too but we don't like to talk about that. Me-Me: Been to Blue Jays (Toronto) and Expos (Montreal) and our local Ottawa Lynx used to be the Expos AAA team. All fun to watch! Only other stadium I've visited is Red Sox. Fenway Park is a fascinating ballpark. 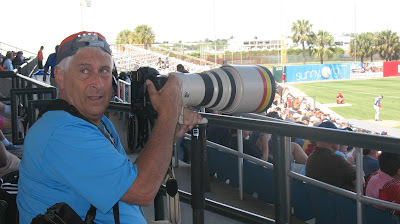 I love to rock a spring training game. I'm glad it all worked out for you. Oh yeah, I forgot to add, Go Jays! FTU: Yeah it's a lot of fun...ya get to see major league ball for $14.